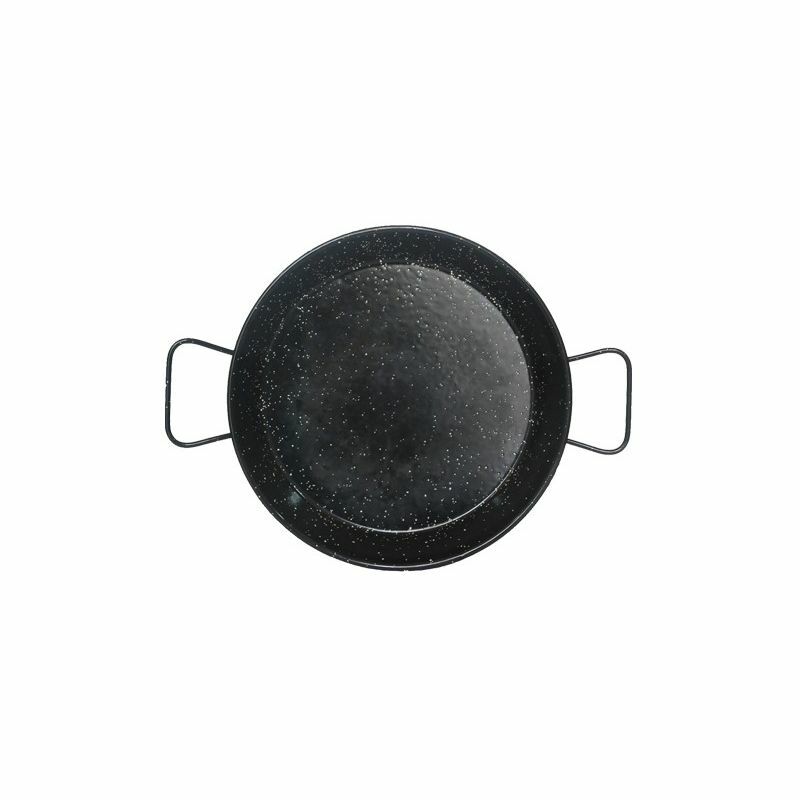 The "Paellera" pans are round and flat in stainless steel or in iron. They are used to prepare the paella, the famous Valencian dish with rice. 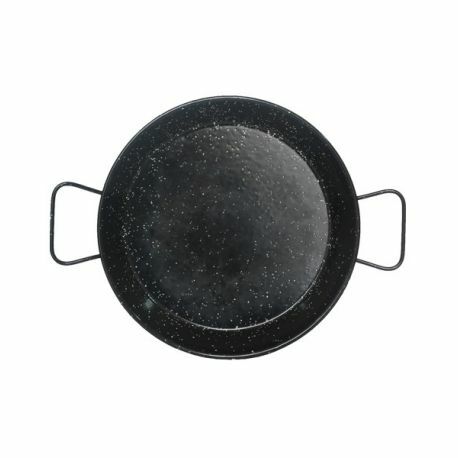 It is different from other pans especially for the size, the diameter of a paellera ranges from 24 to 90 cm. The height of the edge is between 5 and 12 cm and always depends on the dimensions of the bottom of the pan. The smaller paellera is used for the preparation of two dishes, while the largest can cook up to 60 rations. Before using the paellera in steel should make a fry to be able to get results optimal cooking in preparing paella. For this are commonly used peelings potato cut in slices fried in oil. This process must be repeated several times until the skins are crispy with a little oil. After this process the pan will have a natural layer that protects the pan from rust and prevents that other ingredients doens't get sticked to the bottom of the pan during cooking. This paellera has a diameter of 30 cm ideal for 4 persons.